This is one of those rare collections that focusses on a recent significant political transition. In doing so Jason Lacharite and Tracy Summerville have produced a needed and worthwhile book. For those not cognizant of recent BC political history, Gordon Campbell was the Liberal Premier of BC during a pivotal decade (2001-2010). A controversial and polarizing figure, Campbell won three majorities—and yet was forced to resign within 18 months of his last victory. The Campbell Liberals swept into power after a decade of crisis ridden NDP governance and his premiership became the icon of BC’s neoliberal revolution. 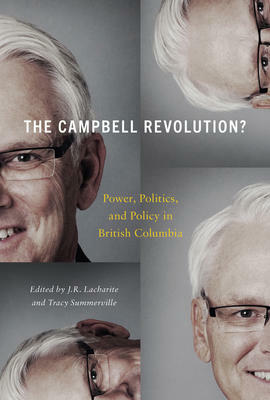 Purposely attempting to demystify this period, the editors’ approach Campbell not as a revolutionary innovator, but as a late adapter, a populist and pragmatic leader that rode the wave of neoliberalism, selecting choice items from a well-know neoliberal took kit to fashion a new model of governance for BC. Yet, what makes the collection interesting is the editors’ desire to probe the reality of what appears to be a complex, nuanced and at times contradictory set of transitions. For the most part the collection does this through policy evaluations. 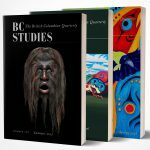 The scope of the collection has some surprises, particularly the emphases in three substantial contributions that come to grips with changes in political life in the province: a biography that locates his origins as an effective ‘non partisan’ pro developer populist within the complex world of Vancouver urban politics (Ginnell), an analysis of his democratic reforms (Pilon), and an account of his Saint Paul like conversion on Aboriginal rights and celebrated attempt to reconcile with Indigenous peoples (Belanger). Beginning with a critical overview of neoliberal governance by Summerville, the study has policy evaluations on taxation (Lacharite), Labour (Teeple), healthcare (Hanlon), social assistance and inequality (Creese and Strong Boag), environment and natural resources (Hoberg) and hydro electric energy (Cohen). Finally, a set of chapters that look at urban and regional politics (Smith), cultural policy (Low) and the Olympics (Brunet Jailly) round off the analyses. The editors conclude with a thoughtful synthesis. Let’s be clear, the contributors are not a set of Campbell apologists—this is a collection of analyses from critical liberal and neo-Marxist perspectives. And it has a lot to offer. What emerges are multiple and sometimes contradictory images of this transition. Contrary to mythology, Lacharite reveals that the Campbell fiscal policy centred on lowering income taxes, but the books could only be balanced by increasing indirect consumption taxes, a much less progressive form of taxation. Contrary to mythology, Hanlon argues that Campbell did not solve the cost pressures of health policy through privatization. Rather, the key health care constituencies were protected, but at a cost of freezing the scope of public coverage. From Pilon, Belanger, Hoberg and Smith we gain the sense of a premier that is strategic in his thinking, dominating in policy process—and yet (surprise) not always able to fully follow through on complexities or really to surrender executive power to broader democratic constituencies, Aboriginal Peoples or municipal structures. Summerville, Teeple, Creese and Strong Boag and Cohen provide more straightforward critiques of Campbell’s neoliberal transition that question the equity of PPPs, emphasize it diminished the legal and political power of organized labour, contributed to greater gendered inequality and had long-term privatization impacts on publicly owned resources. Does the collection deliver the goods? For the most part, yes. Sure, it could have benefitted from including contributions on education, fiscal and economic policies. And it could have had a more disciplined comparative perspective. But they have produced a valuable collection of solid analyses that collectively probe the reality of those transitions. Montreal: McGill University Press, 2017. 350 pp. $34.95 cloth.